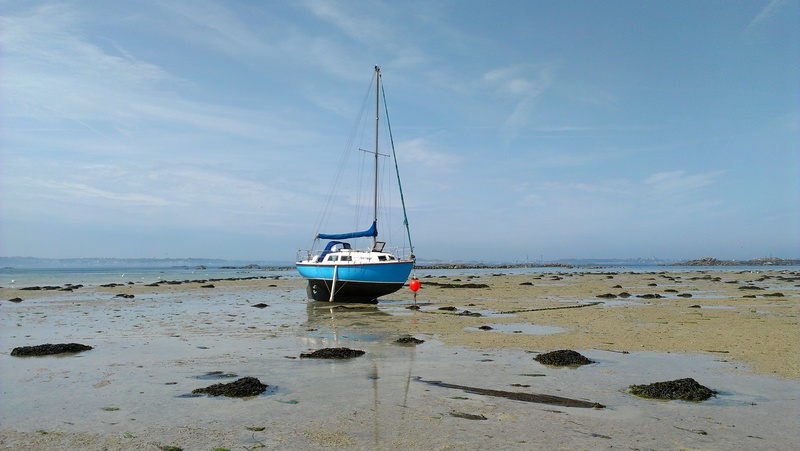 Tusitala, high and dry on Herm beach a couple weekends ago. 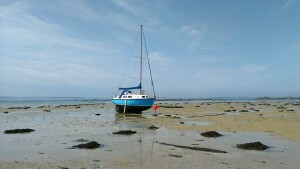 Tusitala, high and dry in Herm. 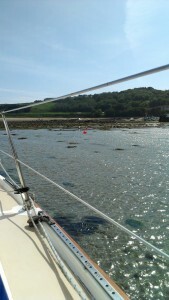 Guernsey in the background. 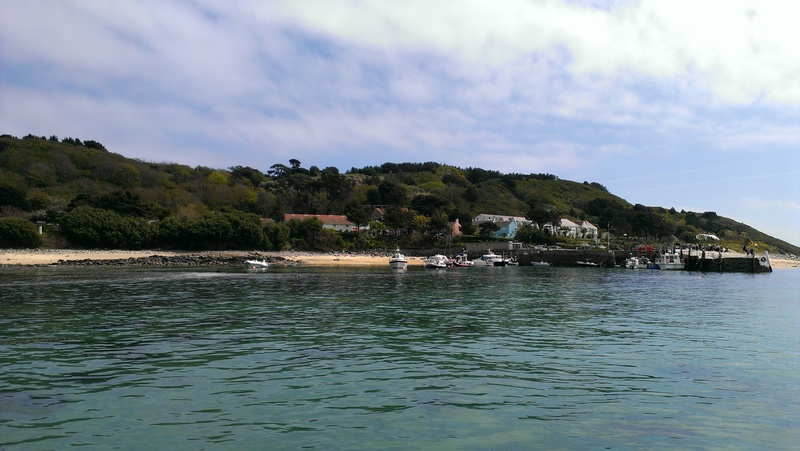 A just in time escape from the Guernsey QEII marina allowed me to make just in time mooring on the furthest public buoy from the shore. Checking the tidal graph, with the tide @ 2.9 meters, from the furthest visitor buoy from shore, I can walk to shore with rolled up trousers. That was a very relaxing few hours away from it all… Now Herm has limited wifi, I might try and spent a little more time working there on weekends.